Facebook messanger update : Now you can delete sent messages within 10 minutes. Social networking company Facebook has finally rollout new popular unsend feature on its messenger platform. This feature was first made available on Whatsapp. 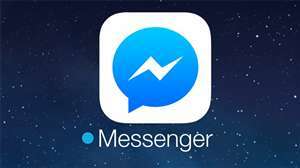 Recently, the news came that the company was testing the unsend feature on the iOS and Android platforms of the Messenger app. Now, according to a new report, this feature has been rollout. Under this feature, any message can be deleted after sending it.In the first phase, this feature has been introduced in countries like Colombia, Bolivia, Poland and Lithuania. Under this feature, if the user has accidentally sent a message, then he can take it back. For this, he has to hold the message and tap. After this, click on Remove for Everyone option. By doing so, the message will be deleted from the sender and receiver. However, Facebook will keep that message for a while so that they can review this message. This will show that this message is not related to immoral or harassment in some way. Users will be given 10 minutes to get the message sent back by mistake. After 10 minutes, the message can not be withdrawn.Earlier Whatsapp had updated the Delete for Everyone feature. Increased the time of deletion of the message from WhatsAppAs 13 hours 8 minutes and 16 seconds. According to WABetaInfo, in this new update, if the user deletes a message then a rewicket request will be sent to the receipt. If he does not approve it in the given time ie 13 hours 8 minutes and 16 seconds, then the message will not be deleted. 2 Responses to "Facebook messanger update : Now you can delete sent messages within 10 minutes."